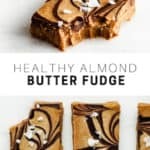 This recipe for salted almond butter fudge is easy to make and is perfect to prepare for meal prep! Store it in the freezer to have on hand for a delicious treat! This recipe is sponsored by Platejoy. Today we’re doing a recipe for some almond butter fudge. But not just any almond butter fudge…SALTED almond butter fudge with ripples of dark chocolate. 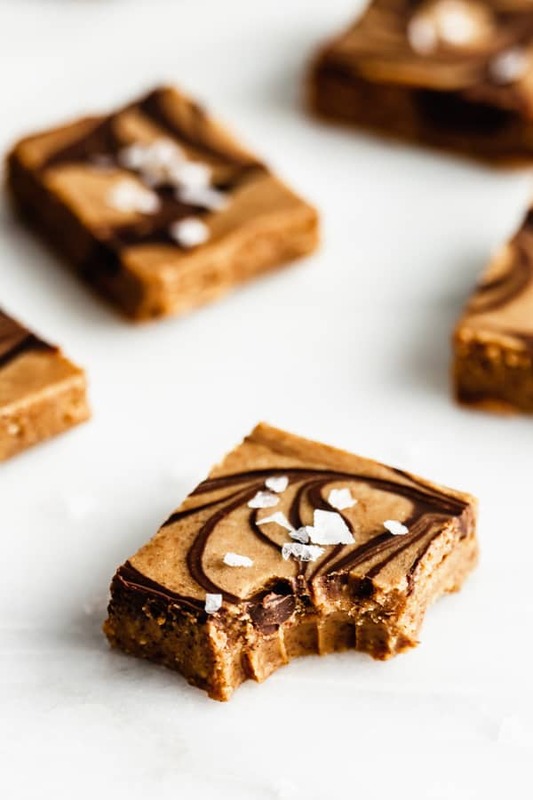 This salted almond butter fudge is made with a base of 2 main ingredients: almond butter and coconut oil. 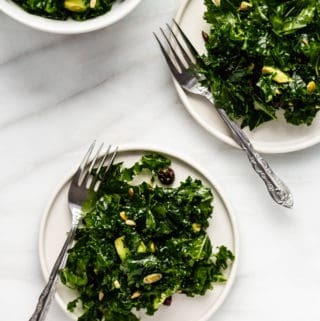 I use a creamy almond butter (with no added salt) which works well for this recipe, but any almond butter will do! You want to make sure the almond butter you are using is nice and creamy. The coconut oil is used in this recipe to help bind everything together, and give the fudge some stability and that fudgey texture. I wouldn’t recommend replacing the coconut oil with any other type of oil. 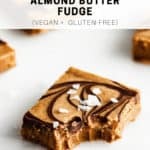 Salted almond butter fudge is the perfect dessert or snack to make for meal prep because it stores well in the fridge and freezer. 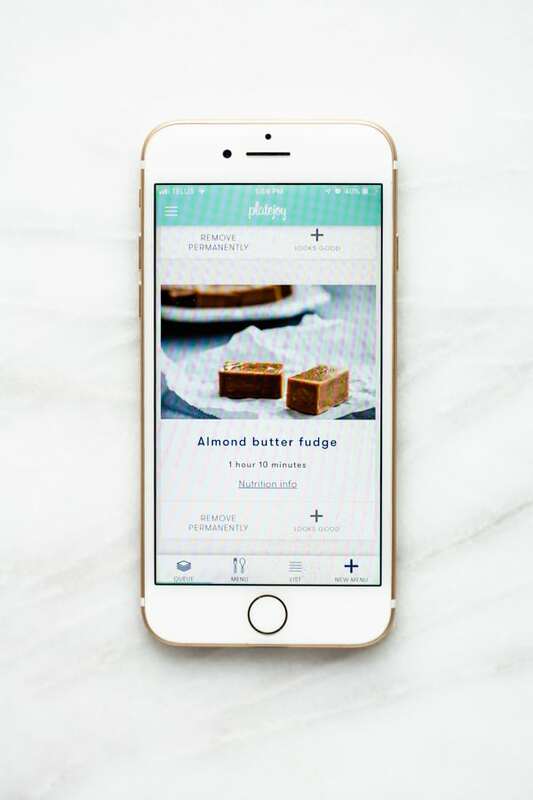 I’ve been using the PlateJoy app for meal planning the past few months, and have been loving all the incredible features the app offers! 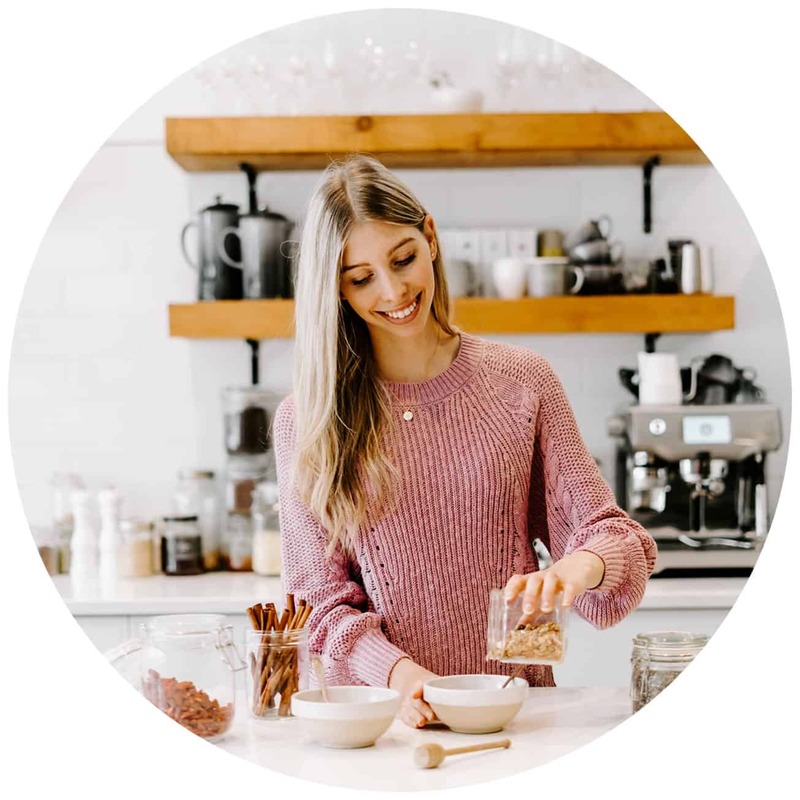 PlateJoy lets you personalize your meal plans by taking an online quiz, and then offers you a custom-designed meal plan based on your specific diet and goals. Pretty cool right? It’s 100% customizable to fit my schedule. 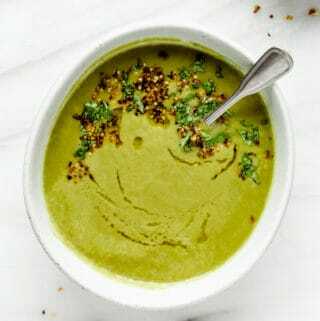 I can add my own recipes to the platform to have on my weekly rotation. 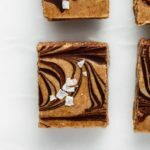 This recipe for salted almond butter fudge is adapted from one of my PlateJoy dessert recipes this week. This is your last chance to get $10 off your membership with PlateJoy with the code ‘CHOOSINGCHIA’ sign up here! Pretty simple right? This recipe can also be made with peanut butter (which is super delicious!) or any type of nut butter you love. 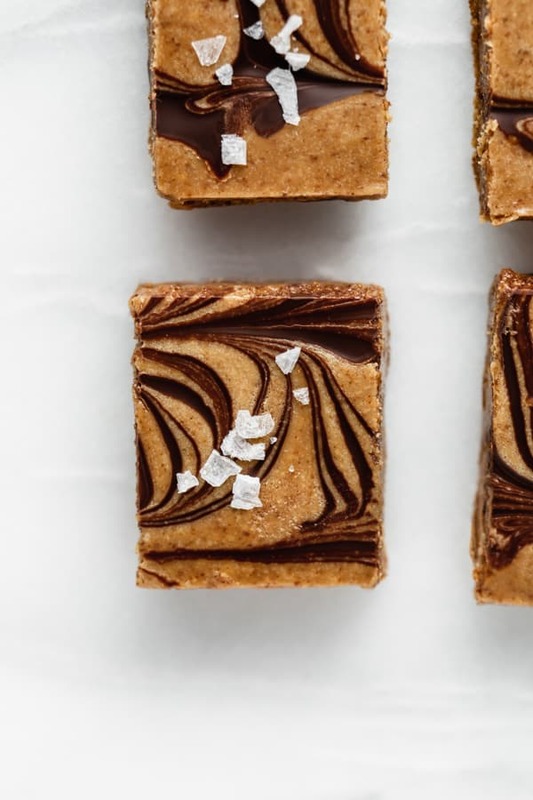 If you are avoiding nuts, you can also make this fudge with sunflower seed butter, or tahini. 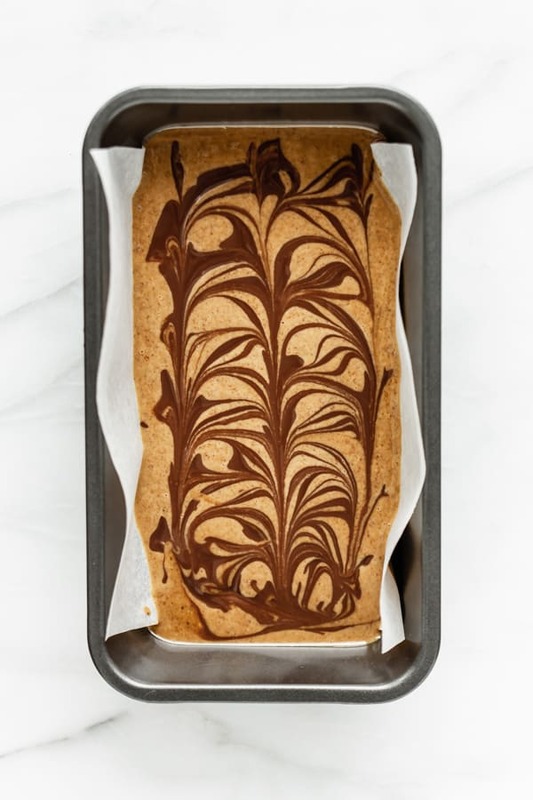 I recommend using a small 8×4 inch loaf pan to make the fudge, but you can also make this fudge in a mini muffin pan by placing muffin liners in the pan and adding a spoonful of the fudge mixture into each muffin mould. Sweet, salty and perfect for when you want a little treat! 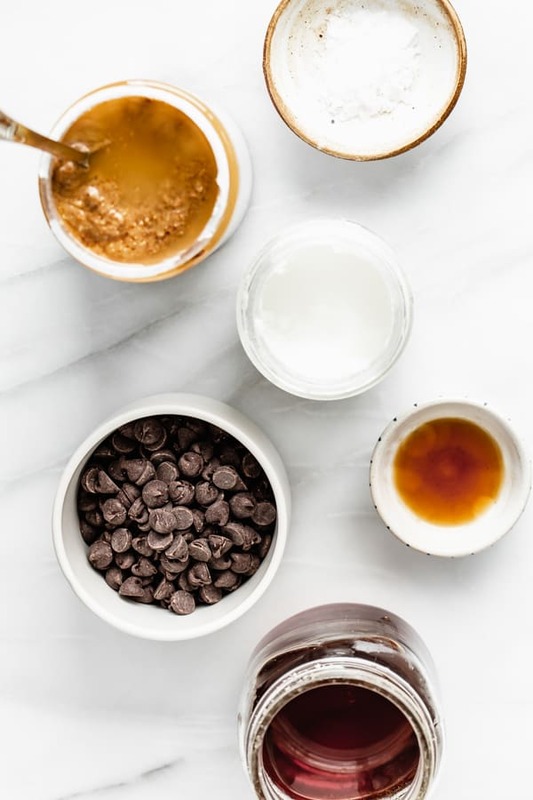 In a small pot on medium heat, whisk the almond butter, coconut oil, maple syrup, vanilla extract, almond extract and salt together until smooth and creamy. 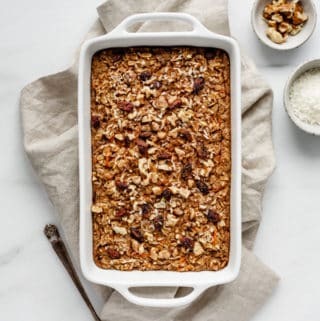 Pour into an 8×4 inch loaf pan lined with parchment paper. Add the 2 tsp of coconut oil to the melted chocolate then pour in zigzags on top of the fudge. Use a knife to make swirls in the chocolate. 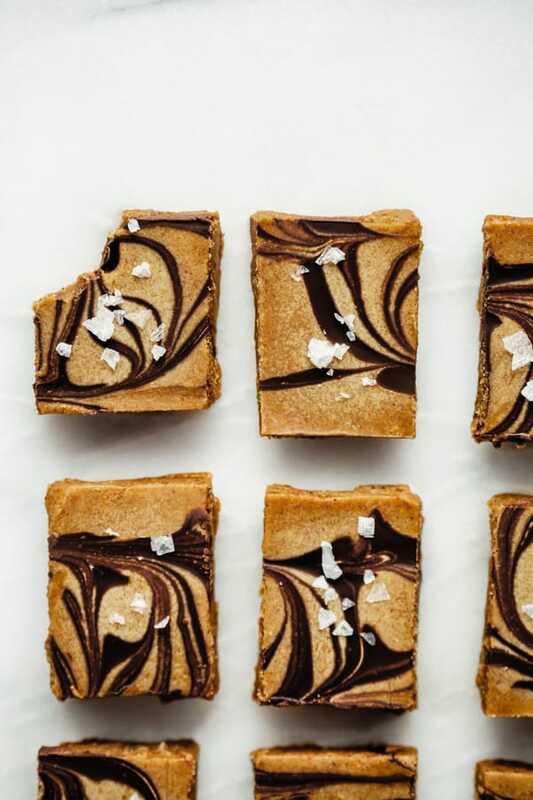 Your salted almond butter fudge looks so delicious, Jess!